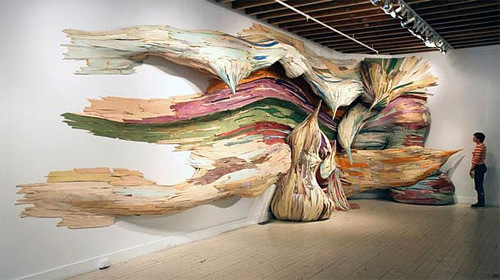 Installation Art describes an artistic genre of huge three-dimensional works that magnificently transform the perception of a space. 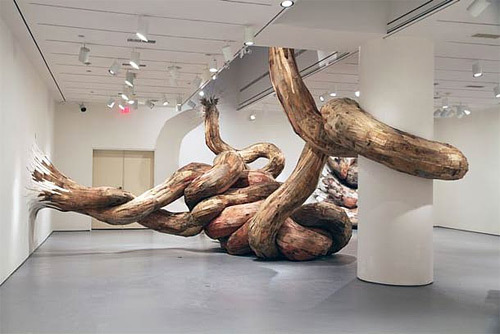 These artworks pertain to its interior spaces, however its exterior spaces are also considered as part of the installation as well. 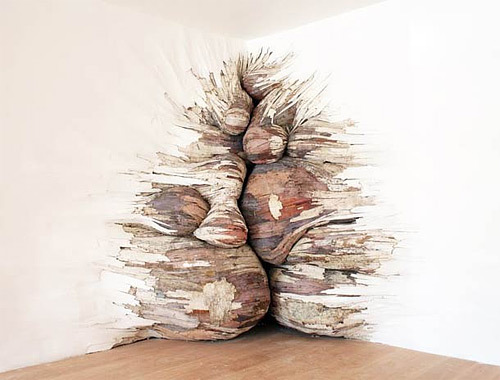 Although they are usually constructed in museum and galleries, they may also be created in public and private spaces depending on the artist’s perspective. 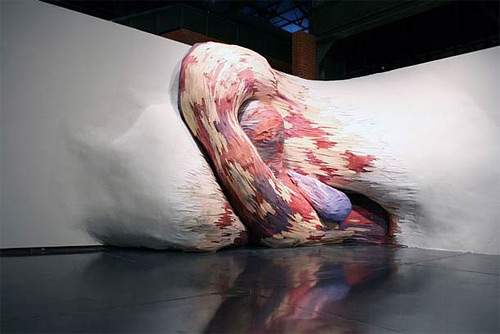 This is a quite different form of art as it utilizes various items that evoke its complex and multiple connections of thoughts, longings and moods. 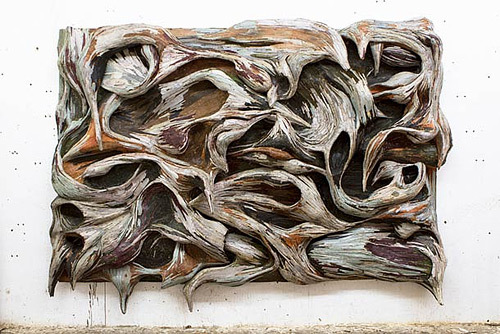 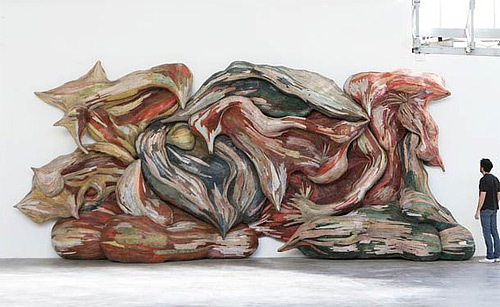 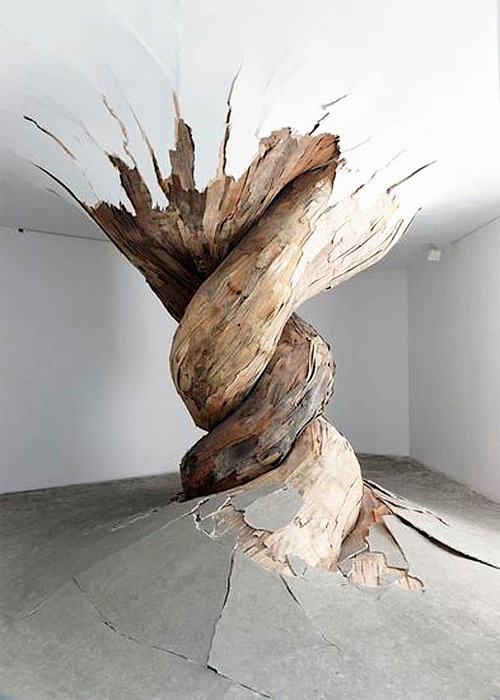 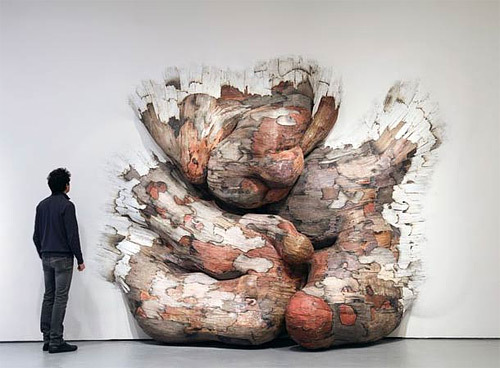 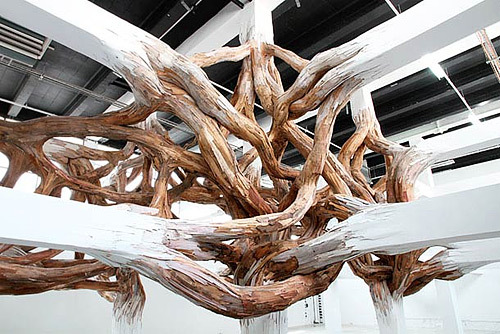 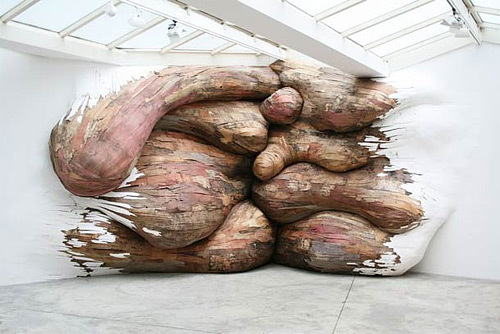 An awe-inspiring artist, Henrique Oliveira is ardent in his aspirations in building these marvellous installations. 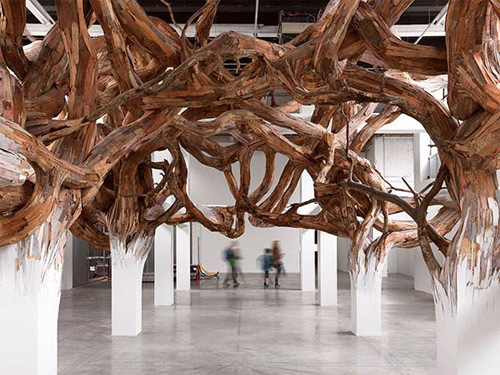 He initially uses woods and wires in forming a skeleton framework and secures its end by zip ties. 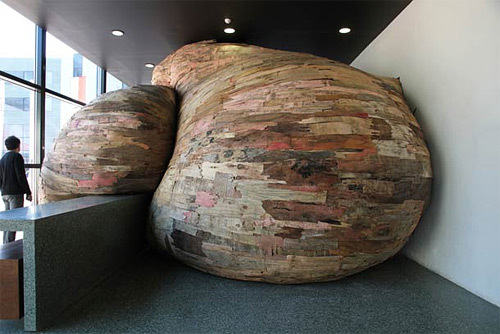 Afterwards, wood is then layered and applied as skin for the interior and exterior parts. 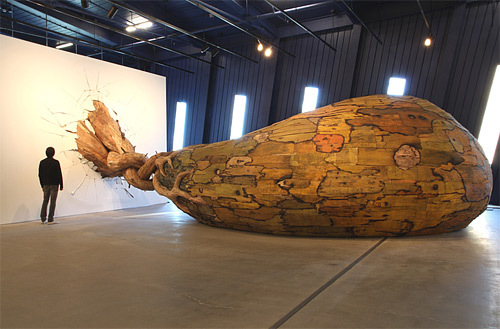 His works of art invites you on a fantastical journey through this gigantic and very alluring imagination. 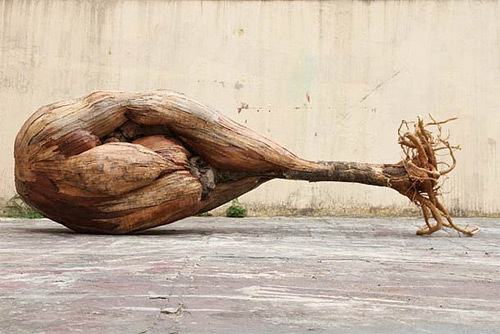 Henrique Olliveira’s works are one of the best examples of how art is created from unique creativity and imagination. 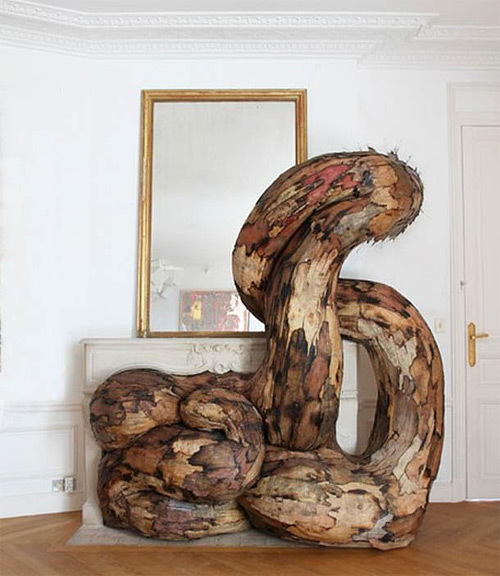 It’ll be great to hear from you, feel free to leave your comments and opinions below.